As part of its ongoing commitment to partner with its major semiconductor problems on metrology solutions Semilab is pleased to announce the availability of its next generation small spot μSE series of products. 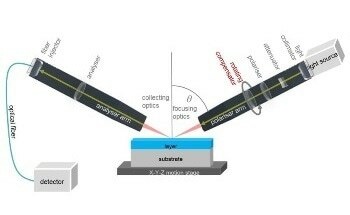 The μSE spectroscopic ellipsometer systems are available in two configurations allowing measurement on scribe line tests structures on product wafers. Utilizing a high brightness small spot source along with an extended wavelength range and increased angle of incidence; these systems are optimized for thin film measurements including SiGe and poly-silicon structures. The first systems were shipped and accepted in 2012 so the tools have a proven track record. 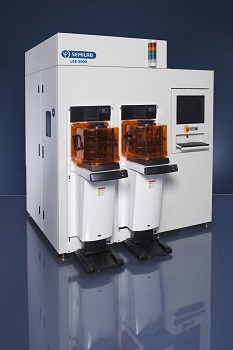 μSE systems are available in a number of platforms from the cost effective 2200 series (for 200 mm and below) through to the new 5000 series which are optimized for measurements on 450 mm wafers. Platforms are available for manual, semi-automatics and fully automatic measurements modes allowing the systems to be used for R&D in initial product development through to fully automatic OHT production lines. 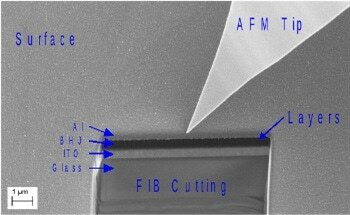 Semilab is a major producer of measurements tools for the semiconductor, photo-voltaic and R&D industries. The company produces a wide range of systems including contact electrical (mercury probe, SRP, 4pt probe, LBIC, elastic metal contact CV), non-contact electrical (microwave PCD, Surface Photovoltage, Airgap CV systems) and optical systems (light-scattering tomography, photoluminescence, laser ellipsometer, spectroscopic ellipsometer, model-based infrared reflectometer). Semilab acknowledges support by the European Union and the Hungarian National Development Agency for this project.